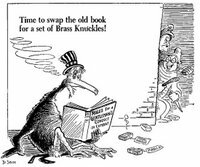 I have always been a big fan of Dr. Seuss but hadn’t been aware until this evening of his role as an editorial cartoonist. Special thanks to AbbaGav, the Loyal Expat Laker fan. 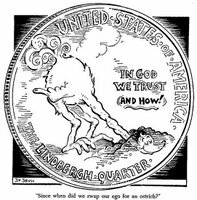 Dr. Seuss (Theodor Seuss Geisel, 1904-1991) was a life-long cartoonist: in high school in Springfield, Massachusetts; in college at Dartmouth (Class of 1925); as an adman in New York City before World War II; in his many children’s books, beginning with To Think That I Saw it on Mulberry Street (1937). 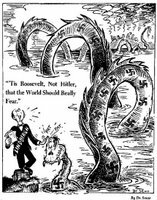 Because of the fame of his children’s books (and because we often misunderstand these books) and because his political cartoons have remained largely unknown, we do not think of Dr. Seuss as a political cartoonist. 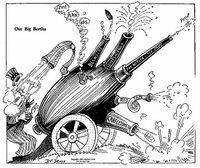 But for two years, 1941-1943, he was the chief editorial cartoonist for the New York newspaper PM (1940-1948), and for that journal he drew over 400 editorial cartoons. 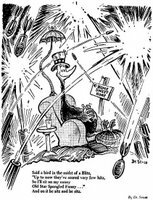 Dr. Seuss Goes to War by historian Richard H. Minear (The New Press, 1999) reproduced some two hundred of the PM cartoons. That means that two hundred of the cartoons available here have received no airing or study since their original appearance in PM. 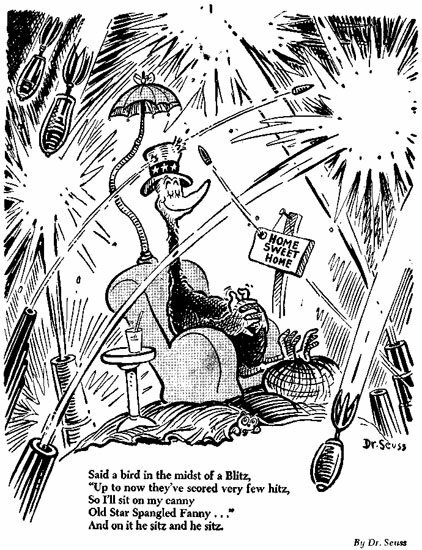 The cartoons Dr. Seuss published in other journals are even less known; there is no mention of them in Dr. Seuss Goes to War. I have provided a few samples here. 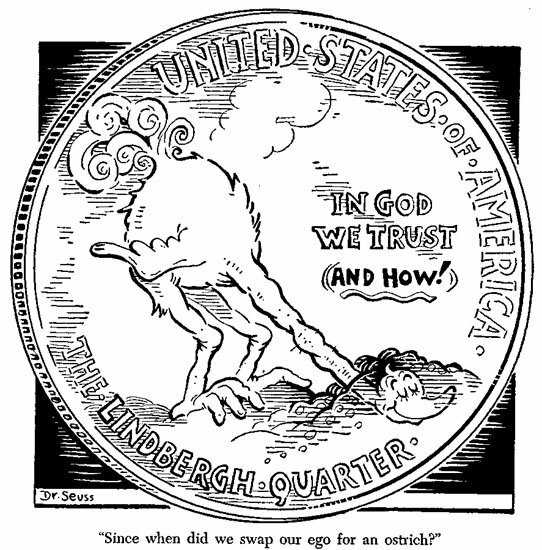 I saw a Dr. Seuss exhibit back in Sept., so I was aware of this. 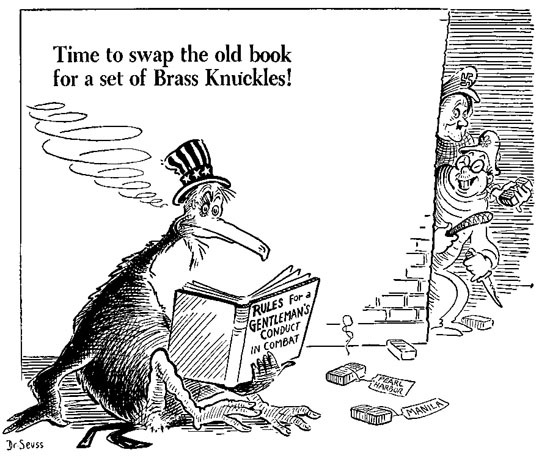 I love Dr. Seuss. That is what I said when I came across these. Ding, Ding, Ding.You win the prize a free night to watch the Lakers take on the Mavericks. WOW, I got hit number 111111 on your hit counter! I feel special, even more so after you so graciously linked a fellow Laker fan. Thanks Jack. Wow! I had no idea Dr. Seuss did political cartoons – they are really good. He’s quite good! For some reason, this sounds familiar.